Recently we've noticed the world has gone a little bit penguin crazy - there's a certain Christmas advert which might have something to answer for here! The beauty of the fact that we design and make our own range is that if we love something we can turn it into a finished product quite quickly. And we love the penguin. 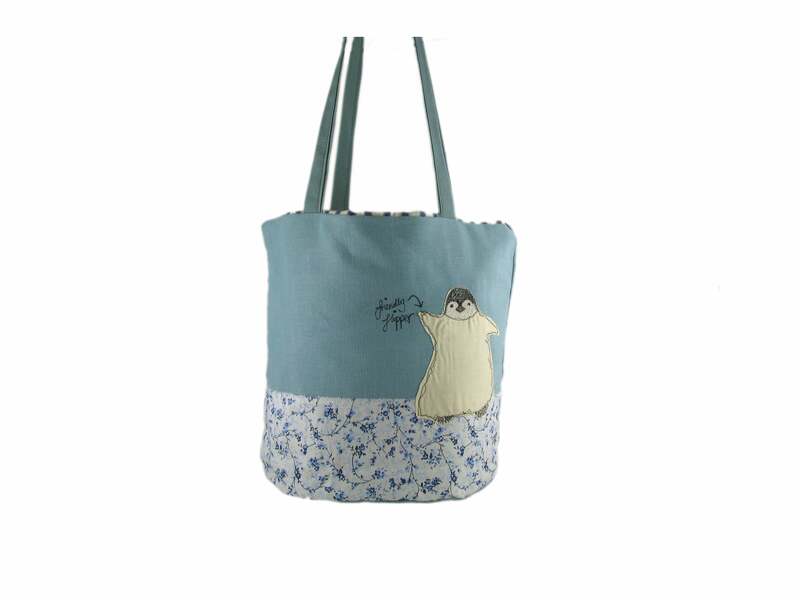 Many years ago we used to make a penguin handbag and when we posted the picture above to facebook recently people got very excited about it. 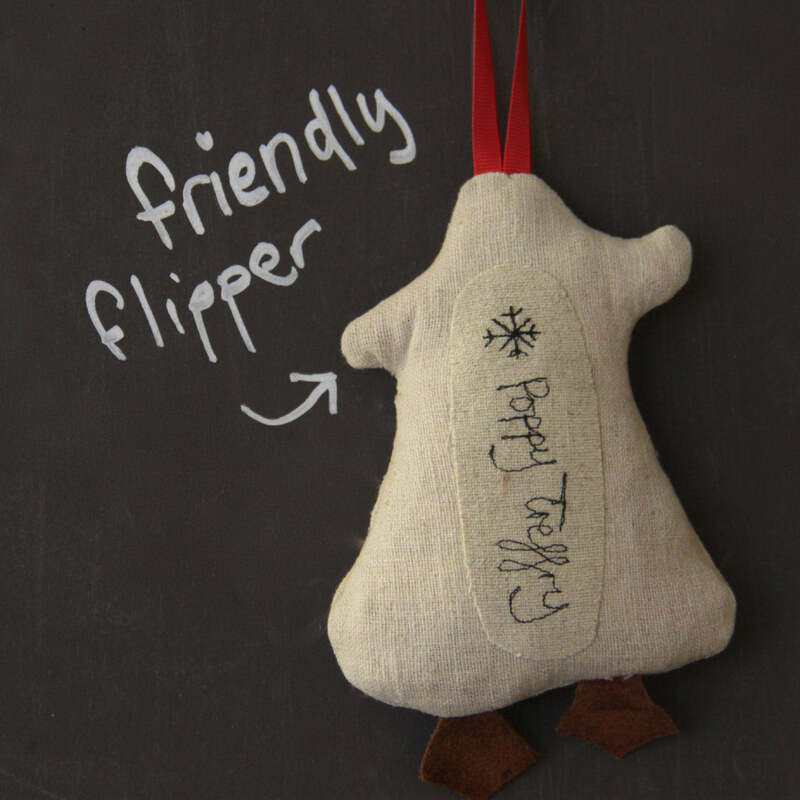 And so our lovely penguin stitched decoration was born. Poppy had some lovely penguin sketches from a summer trip to Paradise park, although we must say the penguins there weren't wearing bow ties, and the little fella took shape quite quickly. 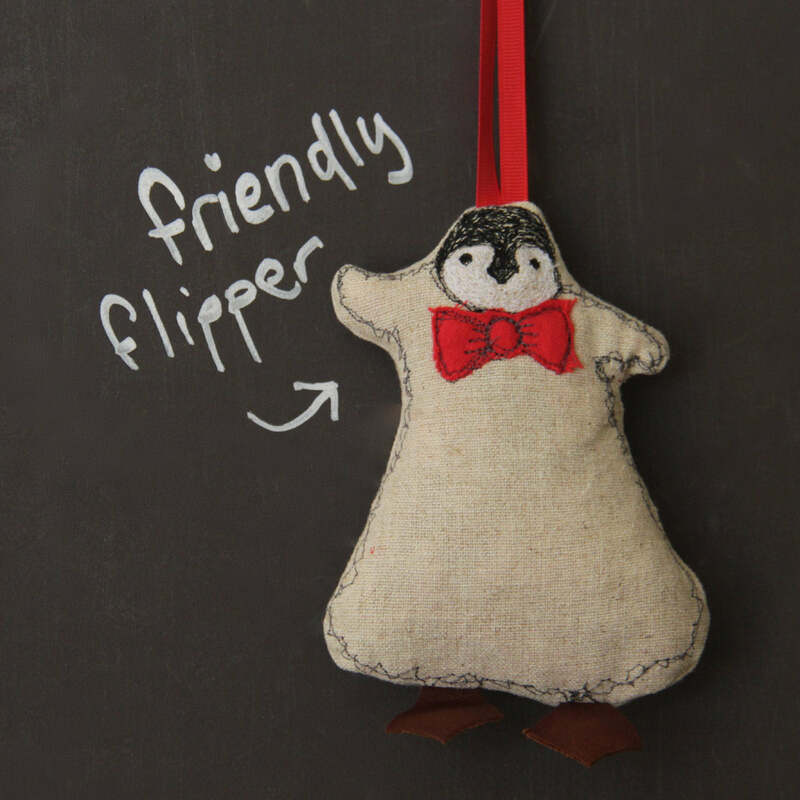 Handmade to order using vintage linen, leather and flannel we want you to wish you had a penguin no longer, because you can just get one of ours! !